This is an aggressive version of 4-2-3-1 DM Wide using two Segundo Volantes who orchestrates both the defensive and attacking play. It's effective and produces very attractive football. I like to share the tactic I’ve been playing for the last six month because it’s very effective, but also it produces very attractive football. 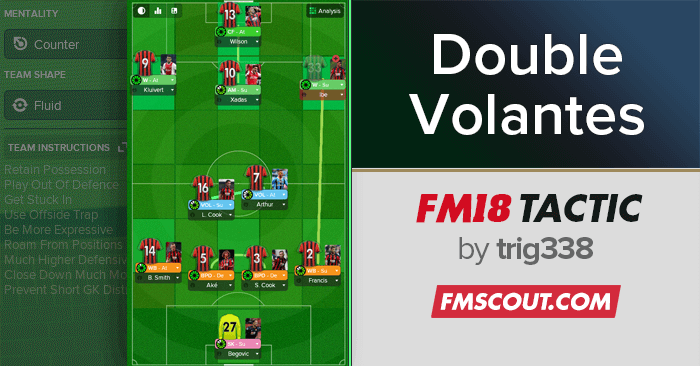 It’s a bit unorthodox in that it fields two Segundo Volantes (or VOL) on the DM-positions. The VOL is probably the most demanding role in the whole game. It’s the complete midfielder role. Their tasks in defence are the usual duties of shielding the defensive line and winning the ball back. But when the team regain possession his task switches to creator and runner when he turns into a mix of advanced playmaker and a box-to-box. Since they start from deep positions they surprises the defence when storming towards goal and are rarely picked up by defenders in time. The role is physically demanding as they often cover the most distance in a game and also has most of the ball. The tactic also relies on keeping possession so we play out of defence, keeps the defensive line high, passing short/mixed and closing down hard. When playing two VOL you don’t want a playmaker on the pitch since that task belongs to the VOL. In defence we have two BPD to get the ball moving in the build up. The WB are on support or attack depending on the opposition. The AM should hold up the ball and stay further forward to entertain the defenders. In the forward position I switch a lot but mostly use a CF on attack, an AF or a P. The reason for this to have someone in scoring position before the VOL:s arrive two seconds later. I rarely play with higher mentality than counter because there is so much attacking built into the player roles already. I sometimes switch to "float crosses" since I have good headers at VOL and floating crosses give them time to enter the box and challenge in the air. 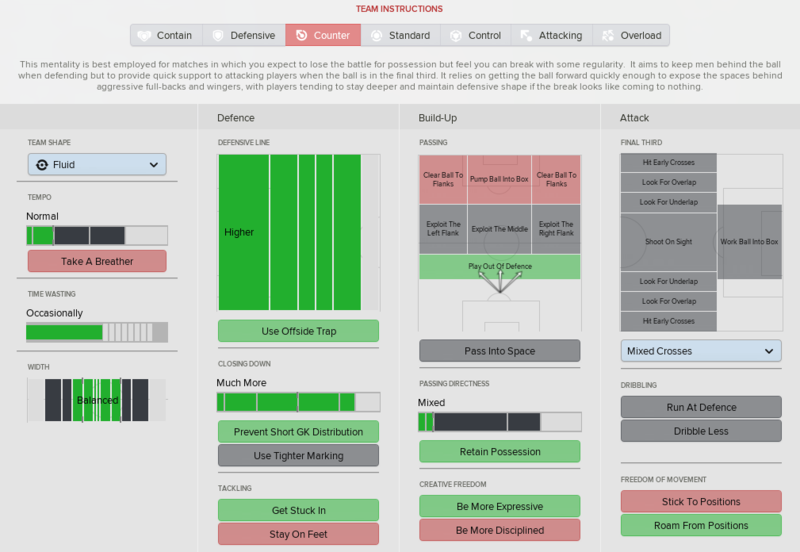 The tactic can be vulnerable to counter attacks, especially from weaker teams who often start with a counter tactic. But on the other hand the VOL:s bring many goals (29 between them for my team last season). Also, the VOL is so physically demanding you often need to sub him around 70-75 min. It's true that there will be some wayward shooting because the tactic commits more player in the attacking phase. I play with Crewe and we have the most attempted shots in the league by far. But we also have the most shots on goal by far. 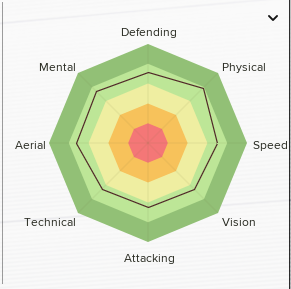 But if you have a segundo volante with below 7 on finishing use him on support and tell him "shoot less often". I've used the tactic, replacing my standard 4-1-2-2-1 (DM + W) and am playing as Hartlepool in the Vanarama National. My shots per game increased to 35-40 per match (increase) but shots on target is 8-12 per match (increase) ad goals to 2-3 per match (decrease). This is a great tactic for creating chances and controlling the game but make sure your non-strikers can score, otherwise the Volantes and AM are going to take a lot of shots that go no where.